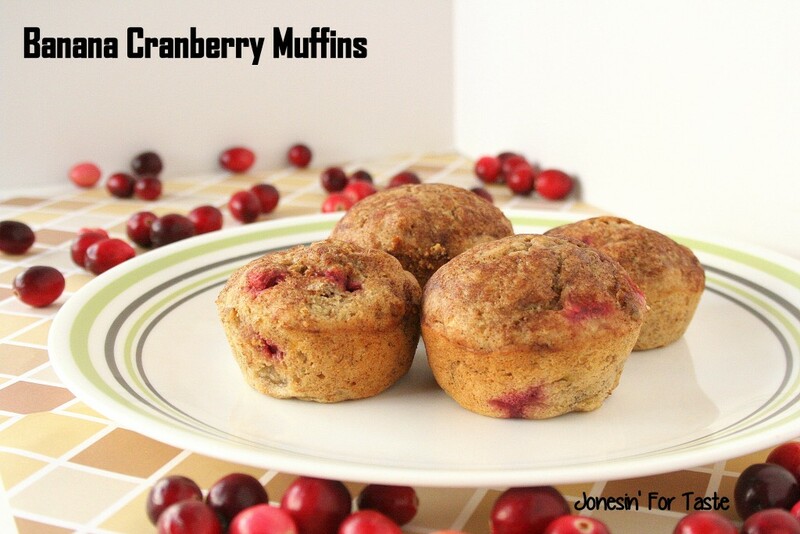 If you love cranberries you will love these Banana Cranberry Muffins! And if you don’t like bananas I think you still will like these! In my house we are split 50-50 on who likes banana and who loathes them. My son and I think they are great but my husband and daughter won’t touch the stuff. The hubby had become extremely suspicious every time I made smoothies because occasionally I would sneak a banana in. He even accused me once of putting bananas in the smoothie when there was absolutely no bananas in it. I still tease him about that. 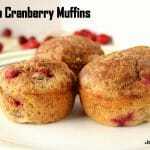 Last year I made banana cranberry muffins for me and the boy. And then my daughter snagged one and ate it no big deal. And then my hubby did too. And when I told them that those muffins were banana muffins they shrugged their shoulders and grabbed another one. 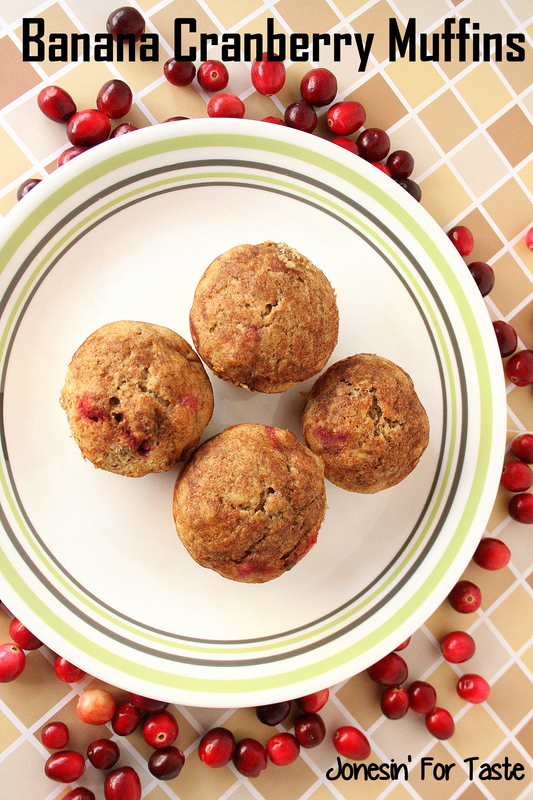 So I have been waiting an entire year to get fresh cranberries again so I could make these muffins. Because cranberries can be so tart I tossed them with some sugar just to give them a little sweetness but the tartness is what helps cover up the banana taste. Tell me, bananas, love them or hate them? Preheat oven to 400F degrees. 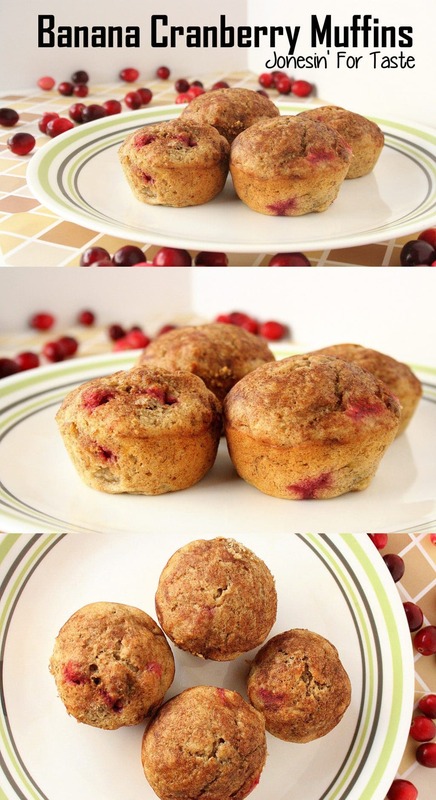 Grease 24 regular size muffin cups and set aside. 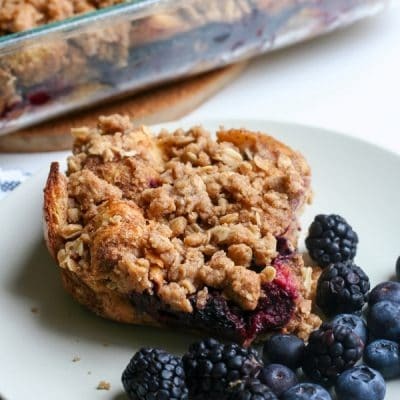 In a medium bowl combine the flour, 2/3 cup sugar, baking powder, and salt. Set aside. In a separate bowl, combine egg, milk, oil, and mashed bananas. 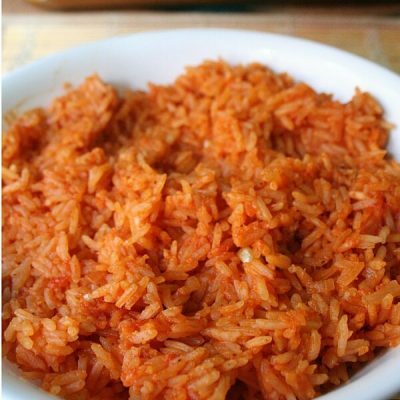 Make a well in the dry mixture and add the wet mixture all at once. Stir just until combined. 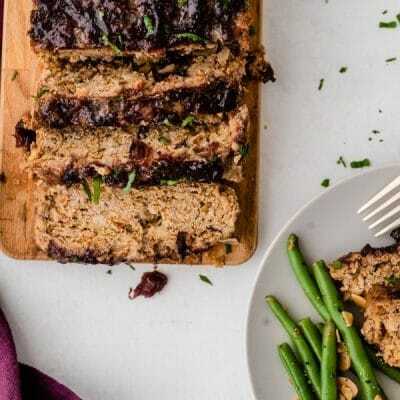 Fold in the 2 cups of cranberries. Spoon batter into prepared muffin cups filling each one 2/3s full. Lightly sprinkle with the cinnamon and sugar mix. Bake for 18-20 minutes until a toothpick inserted in the center comes out clean. Cool muffin cups on a wire rack for 5 minutes and then remove from baking tin. 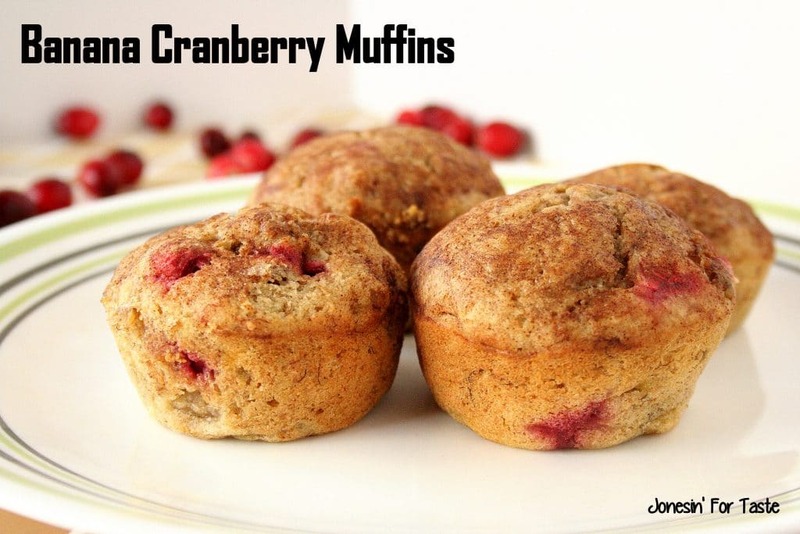 Jade, These banana cranberry muffins look so good. What a terrific combination. Thanks Amy! It’s such a tasty combo.